Resource Tuner enabes you to export and save to disk multiple resources from a single EXE or DLL file. 1. 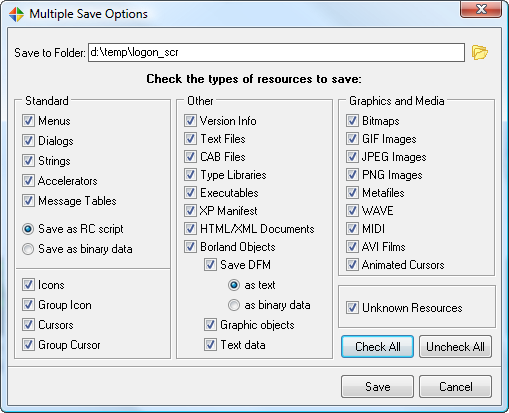 When in the Resource Browser, press the Save Multiple Resources at Once button. Resource Tuner runs on all versions of Windows from 2000 through XP, Vista, 7 and 8.